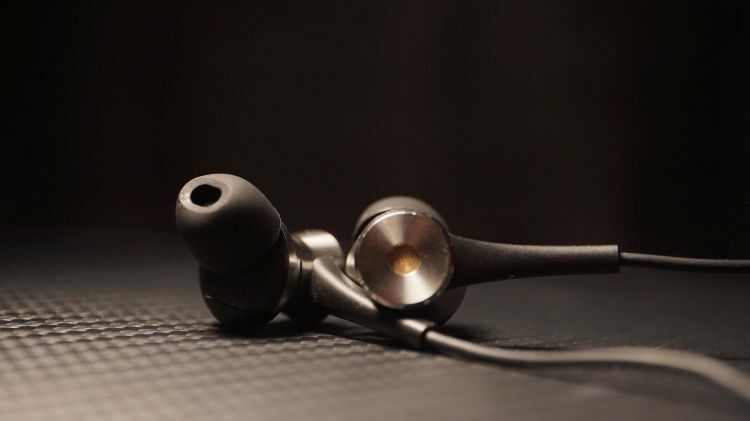 Part 3 in the series of 1MORE reviews, today we are taking a listen to their dual driver Apple Lightning cable IEM. It has been an interesting journey, that is for certain. This one is a bit different from the other two in the lineup that I’ve reviewed so far, so kick back, relax and tune in to the latest from 1MORE. I will put this one through the gauntlet as well, so let’s see how it fairs against the competition. Well, the box’s innards are really no different than the last two models. Still slick, still gorgeous, still enjoying the sketch work and the unique interior placements of the IEM and accessories. I like that these boxes are sturdy and feel so hefty. I’m glad that they are not a basic, thin and flimsy feeling cardboard, but instead something of a more dense feel. As mentioned twice before, not many companies do this with their box design and I do appreciate the extra touch here and there in the package overall. Is it really important? Nah, but at $150, to see a box that is well crafted usually is a great sign in the long run. I am not at all big on Apple products and I am not even remotely ashamed to say it. I am just not a fan of proprietary anything, regardless. 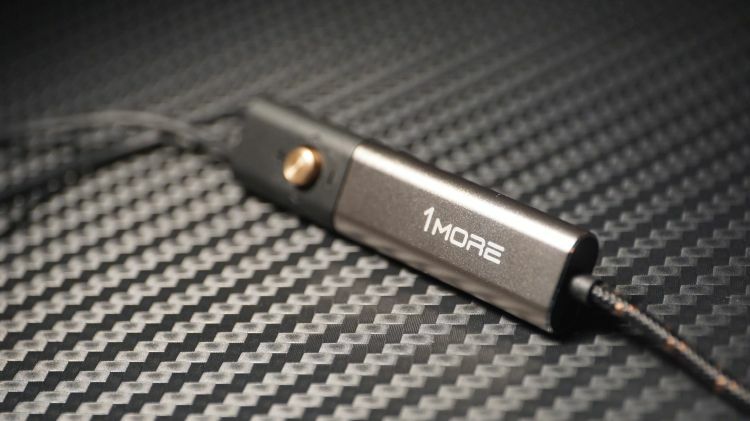 But, as Audeze’s iSine20 IEM has an optional lighting enabled cable, this dual driver model from 1MORE comes with one stock that cannot be swapped out. This is great news if you are an Apple fan. 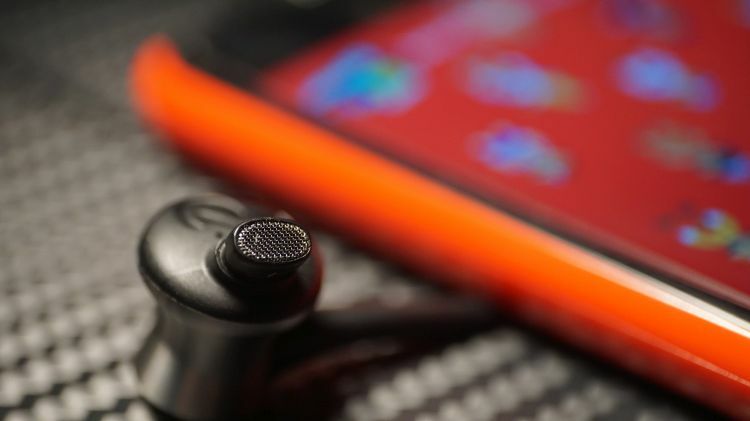 Not great if you are a Droid or Windows phone user as I am. 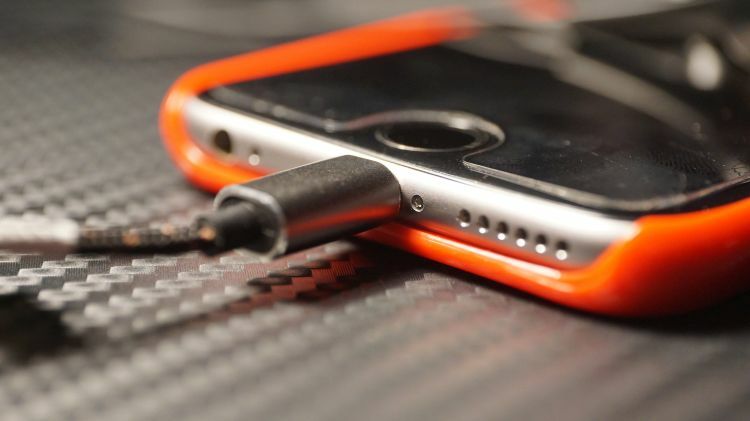 In truth, this models cable is acting as a 24bit DAC now and that is something I’ve been enjoying with my Android-based Samsung J7 with other products that do similar things but only on Android. I’ve grown very tired of modern music DAP’s and would now rather use my phone with a great amp, than use just a high end audiophile music player. This is the future: cellphone based Hifi. There is no getting around it. DAP’s are dying. Phones are taking over, so it is only natural for companies to want to try to design in ways to entice Apple users into higher-res audio enjoyment. I’m very on board with that concept. I am not really enjoying being stuck with an iPhone though for testing. I can’t take it anywhere else with the gear I have. I can’t use it on home amps to push just how far it goes and what it is capable of. Well, that is interesting. This one seems the most bass potent in terms of depth reached. It is not a bassy IEM, per say, but it is the one that seems the most elevated down below of the three tested so far. Clearly, I’d be recommending this one to anyone who prefers the 1MORE house sound and wants the most bass of the crop of IEM’s they are offering. For me and to my ear, I am detecting plenty of smoothness, in a similar manner to the Triple model’s very elegant feel to the bass experience, but also one that digs deeper. Quality at the $150 is still very nice, but still taking a backseat to a few others out there on the market. But, again, just like the Triple, none of those others are really this smooth sounding that I can recall. Physical slam seems very similar to the Triple model, which was offering a relatively fatigue-free experience in terms of wince factor and kick. If you are into the very smooth bass with a soft impact, this is a good start for you. If you want something that engages a lot more in terms of physical slam factor, you should probably opt for the Quad model instead. This Lightning dual driver version is still quite hefty but looms in the moderate field of heft and substance. Due to an assist in that moderate heft quantity, the impact factor tends to feel less engaging and easier going on the ear. The end result is a sound that you can enjoy good depth from with some EQ and bass boosting, but also never having to worry about annoying, shoulder shrugging, wince-worthy physical dynamic slam factor. That is something I desire highly as I bass boost. Only a few sets out there are even capable of it. If anything, the Lightning model is similar to the Quad in terms of midrange and vocal placement. Meaning, the Triple is the most relaxed feeling in a literal distance in stage depth. I still wouldn’t cite the Triple as V-shaped, but I would consider it well into the moderately relaxed area. This dual drive Lightning model feels a bit more stage-forward in vocal experiences, but not by too much. The quality factor is noticeably less than the Quad in overall fidelity, but it is still pretty good for the price. I enjoy the sound of the Triple the most, despite it being the most relaxed of the trio. But, I enjoy the staging qualities of the Quad by far, and this Lightning version certainly wins the bass department for me. Naturally, I would say most genres will sound good with this model and you don’t really have to worry too much about very forward sounding tracks ending up feeling as though they are recessed. Thankfully, as well, the upper midrange has no nasal tendency and feels slick all the way up to the treble end. I feel like the Lightning and the Triple are very closely related, and the Quad is the black sheep of the lot. This Lightning version and the Triple seem similar in presentation up top, which is not overly potent and not lacking. I would call it a desired gentle brightness and that is always a great thing for me on a subjective level. Brightness, as mentioned last time, is hard to get right and achieving just enough quantity, while at the same time trying to preserve beauty and structure overall, is a very hard thing to do. You can easily go overboard and tune too much energy up there, or not enough. You can end up with a very painful sound, a wince-worthy sound, or a very calm and elegant sound. I think the Lightning model here is closer to the elegant side but does retain just a smidgen of brightness that I find appealing. It is on the low end of moderately engaging. For $150 though, I can name a few other models from other companies that are superior in quality, but again, they tend to be harsher on impact and also severely lacking somewhere else in the frequency range. As seems tradition with 1MORE, sound staging qualities are good and slightly enhanced over the Triple, due to this Lightning models slightly stepped up treble experience. That little brightness and quantity increase lends more open air feel to the imaging and stereo void. 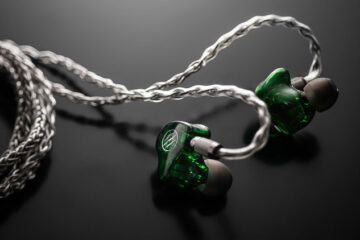 In turn, the stage quality is still very good for $150 and very few other IEM’s out there can achieve a nice, properly setup stage such as this. 1MORE seems to understand staging and how to achieve it properly, so I award them bonus points for that on a personal level, because staging is my favorite listening quality to enjoy. Airiness is very nice, depth of field is good and so are width and height. It is an odd dynamic to feel the air in the void, but at the same time, also desire a wider and deeper image for my ear to pick up on. The imaging prowess is pretty much the same as the Triple to my ear, which is still pretty good all things considered. If you want staging sub $200 though, this is an okay starting point if you want a Lightning enabled IEM with good bass extension potential. 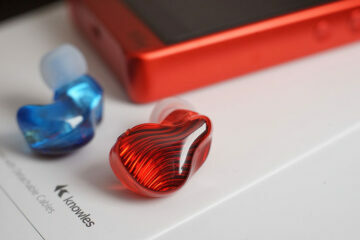 1MORE scored well on all their IEM’s that I’ve tested. I hope this stays a trend for them with future releases. I enjoy their house sound and have had a lot of fun with their models so far. I am still not on board with the Lightning only adaptor and fabric cable there, but it is nice to be able to control things off the Lightning input there on the iPhone and also to bypass the 3.5mm. I hear hiss on my iPhone I was able to test with on the other 1MORE’s for this review, but the Lightning model out of the Lightning port on the same iPhone was quiet. I mention this because I hear a lot of complaints about Apple 3.5mm outputs and some noise on the older models, so maybe this is a great positive step into Lightning only cables. I think 1MORE has a very bright future ahead. This Dual Driver Lightning model sells for $150 and offers good bass if you EQ properly, a soft midrange and a gently brightened treble. Combined with already good imaging properties and you end up with a very nice Lightning-based IEM. 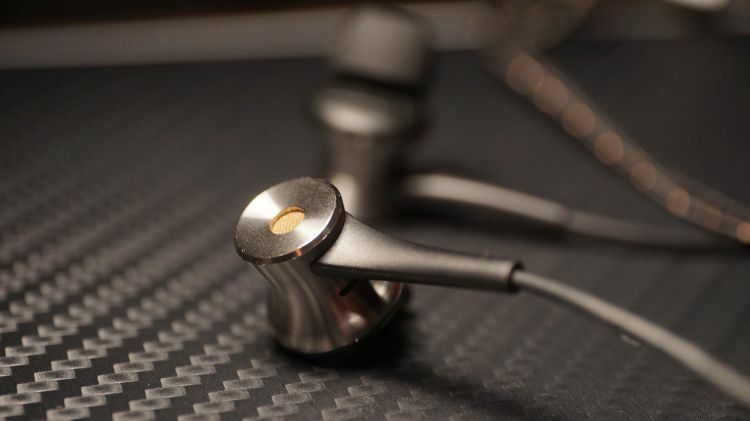 This is a good stepping stone to the more expensive IEM’s out there and the very nice staging properties will give newbies a taste of things to come down the road. Stocking material for the holiday season, no doubt your Apple fanboy friends and family will enjoy this one.